What the great goddess is to witches, the beautiful horned is to witches. He is our protector to us wizards, magi, diviners, healers, summoners, or simply to use wicca. He reigns since the world is world. Cernunnos, the god of sorcerers, is the god of masculinity, regeneration, resurrection. He is the guardian of the kingdom of the ethereal, and he is the undisputed and undisputed king of woods and forests and of all who live there.Cernunnos has a triple face just like the goddess his lover, he is honored under many names like the sun, Osiris, Adonis, Zeus, Thor, Pan,Cernunnos, Herne, Lugh, king holly and king oak and many other names …He accompanies us during all the cycles of our life (young man, adult, old man). Wise and wild, impetuous, yet he embodies a quiet force. He is the one who watches over the winters and the one who invigorates in the spring. He embodies our primary instinct, one that reminds us of our share of animality. His best-known representation is a man sitting cross-legged (wisdom) with deer antlers (regeneration) holding in one hand a serpent-headed head (resurrection) and in the other a torque, necklace, (martial power). he is surrounded by forest animals (reign). It is, most often, in the Celtic and Wicca tradition, represented by a majestic deer. He is the symbol of the pagan resistance, the one who was and still is the adversary of Christendom, this is one of the reasons why the early Christians compared him to their fallen angel “Satan”, which originally means ” opponent, enemy “. Then, obscurantism having covered the world, it is under the cover of a false resemblance with the latter that massacres among ours were perpetrated during several centuries. It is also one of the reasons why many of our monotheistic friends still today reject or condemn us by claiming that we serve evil. Many of us remain hidden, still in our time because of this. Do not judge them, bring their support. Indeed, we forget that too much of our animality and when it arises we are quick to condemn it, while it is an integral part of us and our life cycle. It is the reptilian spirit, the one that governs our instinct. If we learn to recognize it we will be able to use it outside of survival reaction. Cernunnos helps us. Just ask him.He blesses our daily lives and gives us material to add to our material and spiritual life. He also offers us his protection against all evils. 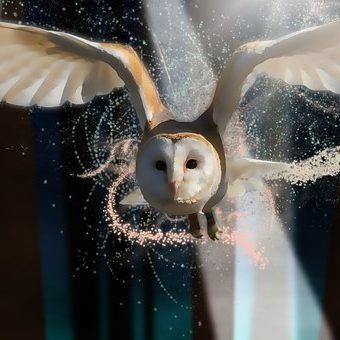 He can give us the gift, as a merlin, to speak or to convey his spirit through an animal. See how to transform himself (but I do not know anyone who has managed to make this transformation).It gives us the power of attraction and strengthens our bonds in our relationship. It makes us fertile and frees us from our shackles. It frees our deep nature.He gives us the power of regeneration, as he watches every spring to the renewal of nature. It allows us to reactivate the life force of plants, animals, humans. He is the guardian of the kingdom of the ethereal, he is the one who accompanies us to the wheel of life. As guardian he is also the one who is asked to speak to the dead and in some cases a resurrection (which is not inconsequential, believe me). We can ask him to take revenge for us and let go of his horde (be careful, there will also be a backlash even if in your eyes it is justified).He can allow us to see and speak to the small peoples and get us out of a bad situation or they would bring us. What must be done to honor him on his birthday? My Law is Harmony with all things.Mien is the secret that opens the doors of lifeAnd mine the sap of the earth.I offer the knowledge of the perpetual life,I am the sacrificed, the father of all thingsAnd I cover the land of My protection. I am the Lord of the Great Spiral,The big deer of winter and the fawn of spring.Everything comes from Me because I am the Consort of the Goddess,His opposite but not His opponent.I cause life in the womb,Because I am the seed that fertilizes. ,I call your bodies to stand up to come to Me,For I am the flesh of the earth and its creatures.Through Me, everything must die in order to be reborn.Let desire and fear, strength and weakness,Joy and peace, fear and passion, you own.Because it’s all part of the Great MysteryWhat you will find in you and in Me:Every beginning has an endAnd every end has a beginning. Then I breakfast copiously, thanking him for providing me with my needs.All day long I seek his advice and try to perceive it in all that surrounds me. In the evening, after a good shower or a bath of purification, I relax a glass of good wine or a cup of tea.I light incense of musk mainly which I would use during my circle and I think about a ritual, depending on what I really need. At witches’ hour I make a circle, and invoke it by tracing a pentacle in the center of which I find myself. I leave the pentagram and stay in the circle, waiting patiently for him to come to me and fill me. From then on I am only his shadow and let me direct. I let my instinct speak.Once I feel that his presence has left me, I eat a cake or a fruit that I had brought and drink a tea or a glass of wine. Then I make a libation and an offering with what I have and close my circle.When I was single I went out immediately afterwards and I must say that each time it was a huge thing. Now that I’m married I assure you it’s the same, it’s unheard of.